Tópico em 'Notícias e Imprensa' iniciado por Maxi_feg a 10 Mar 2015.
serve este tópico para postar notícias/artigos nos jornais estrangeiros sobre o FC Porto. Sabes que podias ter feito isto num post. o primeiro post é de apresentação por isso não achei correcto por o link no mesmo post. PORTO, Portugal -- Three quick thoughts from Porto's 4-0 hammering of Basel at the Estadio do Dragao in the Champions League Monday night that sent the Portuguese side through to the competition's quarterfinals 5-1 on aggregate. As soon as Jackson Martinez pulled up in Friday night's game at Braga, holding the back of his left thigh with nobody near him, Porto knew what was coming. His replacement, on Friday in the provinces and here in the Champions League, was Vincent Aboubakar, purchased from Lorient after hitting 15 goals in Ligue 1 last season but fed on scraps thus far in northern Portugal -- something that was always likely once Jackson was retained last summer. There is room for only one out-and-out striker in Porto's well-versed 4-3-3, and it was always going to be the owner of the No. 9 shirt, who has not missed a Liga match since his 2012 arrival -- although that will change this weekend against Arouca. With the Colombian's release clause brought down to 35 million euros by his last contract extension, his departure is almost inevitable this summer. So this was more than an unexpected chance for Aboubakar, it was a chance for this season's understudy to stake a claim for the lead role next season. It was no small task. Martinez has hit five in six Champions League matches this season, to add to his 63 in 82 Liga matches overall. Aboubakar stepped up after replacing him at Braga, creating the only goal of the night for Cristian Tello. The Cameroonian didn't lack confidence here either, shining throughout even before smashing in the fourth from outside the area when a shot barely looked on. To say Aboubakar can match Martinez would be premature, but his all-around game is similarly canny, and he again showed signs of developing a fine understanding with Tello. The current zest of the Barcelona loanee -- whom Porto are attempting to seal a permanent deal for right now -- was clear in the way he tempted Walter Samuel to flatten him after a neat turn in the 12th minute. The experienced Argentinian escaped further sanction -- at least at the time; he was sent off in the closing moments -- after referee Jonas Eriksson gave the free kick, although Yacine Brahimi imposed full punishment with his sublime strike for the opener. Class like that reminds us that it might not just be Martinez whom Porto must replace, but Brahimi and Danilo too. The right-back, reportedly close to a move to Real Madrid, had his evening curtailed here after a juddering first-half collision with his own goalkeeper, Fabiano. It saw him transferred directly from pitch to ambulance in a neck brace. The club have since confirmed that the full-back has not suffered any serious injury in the coming together. Julen Lopetegui does have time to concoct a more long-term solution than the one that saw Danilo's fellow Brazilian, the very left-footed Alex Sandro, moved over as a makeshift replacement. There is a sense that the 3-0 win over Sporting 10 days ago, underpinned by a sublime Tello hat trick, was a major milestone for the coach. 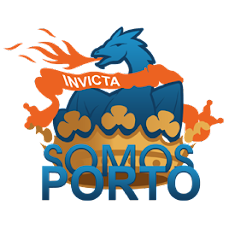 Before that, Porto had come up short in both of Lopetegui's two clasicos: the cup defeat to Sporting that ended his unbeaten start and, more damaging, the December loss to Benfica at Dragao, which remains one of only two reverses in the Liga. There was an argument that Lopetegui had been tactically outdone in both of those matches. Large sections of the Portuguese press, seemingly not wholly enamoured with a Spaniard being brought in to supposedly revolutionise one of their country's biggest clubs, were not slow to revel in his difficulties. Europe has been different, of course. Porto began the night, along with Chelsea and Real Madrid, as the only unbeaten side in this year's competition. Their superior continental performance to that of their rivals Benfica, who made a very half-hearted stab at this year's group stage, has not gone unnoticed. There are high standards to match, of course. No other club has managed more than Porto's 19 group stage appearances in the Champions League era, a high watermark matched only by Real Madrid, Barcelona and Manchester United. Lopetegui had a quandary here: the question of whether to stick or twist with an away goal in the bank from the away leg, coupled with the ongoing suspicion that he has sometimes struggled to effectively streamline the sheer amount of quality in his squad. Again, he had the luxury of players including Ricardo Quaresma, Juan Quintero and the returning Oliver Torres on his bench. His, and Porto's, response to those doubts was emphatic here. The Dragons played with poise, calm and -- at the right moments -- such ruthless efficiency that the result was rarely in doubt after Brahimi's opener. This team is a genuine dark horse for the latter stages of the Champions League. 3. How far have Basel come under Paulo Sousa? Basel are no European greenhorns, as their stellar performances in the past two Europa Leagues have shown, not to mention recent victories over Chelsea and Liverpool. Their previous experience of the last 16, however, had ultimately been a chastening one, as they followed a famous 1-0 win over Bayern Munich with a humiliating 7-0 defeat at the Allianz Arena back in 2012. In the end, this was not a million miles away from that. The Swiss champions must have thought that they had lucked out with this draw, certainly in the context of the alternatives. Porto are not Bayern. There was, nevertheless, an appreciable gap in quality between the sides, perhaps best underlined by the third goal. Basel might have breathed a sigh of relief when Brahimi didn't step up for another direct free kick, but instead Casemiro -- the defensive midfielder on loan from Real Madrid -- bent a magnificent shot into the top corner of Tomas Vaclik's goal. Sousa's appreciation and understanding of the Champions League cannot be underestimated, especially given his wins as a player in successive years with Juventus and Borussia Dortmund in 1996 and 1997. One must be realistic; escaping a group containing Real Madrid and Liverpool was well above par, particularly after last summer's losses of Yann Sommer and Valentin Stocker. With Fabian Schar and Marco Streller set to lead the next wave of exits from St Jakob Park, Sousa faces a tough task to match this season's run next time around. Andy Brassell is a writer/broadcaster/producer for BBC, Guardian, Mirror, Talksport, BT Sport, WhoScored. Follow him on Twitter @andybrassell. [SIZE=small]Exibição do FC Porto frente ao Basileia elogiada pela imprensa internacional. As: "Lopetegui colocou entre as oito melhores da Europa uma equipa fresca, dinâmica, vistosa e emocionante. Guiado por um Casemiro imperial, o FC Porto colou-se à elite continental". UEFA.com: "Um soberbo livre direto de Yacine Brahimi, aos 14 minutos, abriu caminho à convincente vitória dos dragões, que não abalaram nem quando Danilo saiu lesionado pouco depois do 1-0". La Gazzetta dello Sport: "A equipa de Lopetegui, invicta nesta edição, venceu com pleno mérito e quatro pérolas, todas de longa distância. Desde o primeiro minuto se percebeu quem era o mais forte"
Globoesporte.com: "A queda de Danilo, aparentemente inanimado, depois de um choque com Fabiano, foi a única preocupação do FC Porto. Sem ser ameaçada, a equipa lusa goleou com golos bonitos e direito a "olés"". Só espero que o Real não se lembre que o Miro lhes faz falta. Com o Lucas Silva comprado agora no mercado de Janeiro, duvido que se lembrem. Se o Real quiser mesmo o Danilo, não tenho dúvidas que o Casemiro vai ser metido ao barulho. Metem o Guarín em vez do Polvo, lol. O facto de dizermos que se devia meter X ou Y, diz muitos dos jogadores que já tivemos. Usando os nomes que lançaste: Beto, Danilo, Alex Sandro, Pepe, Mangala, Fernando, Moutinho, James, Hulk, Quaresma ,Falcao.